Each of our three main branches have two locked containers for collecting confidential documents. All you have to do is drop the documents you would like to be shredded into the secure containers, and we take care of the rest! The documents are collected in locked containers inside the library. The containers are collected from the library on a regularly scheduled basis by Document Deconstruction, a National Association for Information Destruction (NAID) certified organization. A Document Deconstruction employee takes the container to an industrial bulk paper shredding truck in the library’s parking lot. Neither the library nor Document Destruction ever sees the documents inside the secure containers. 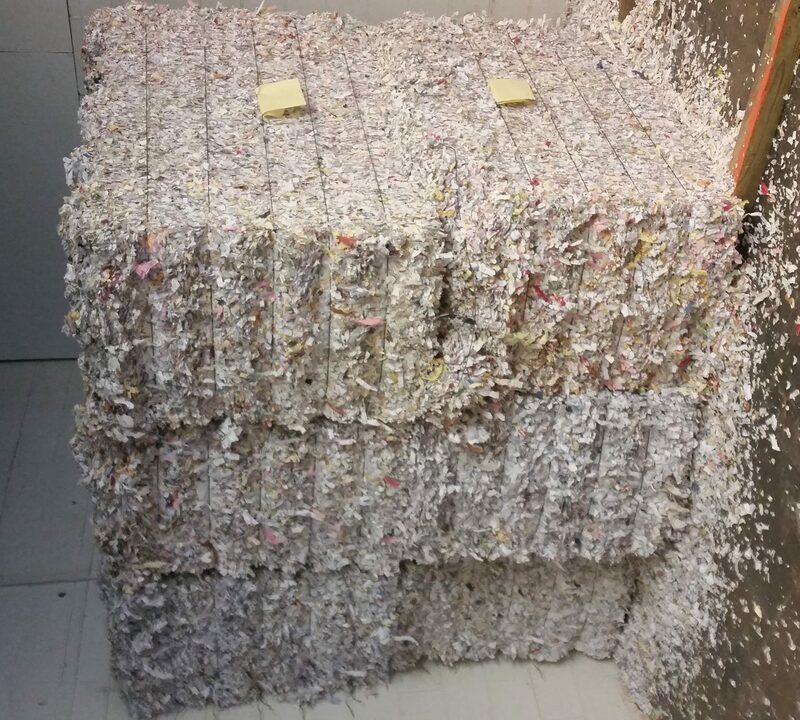 After the documents are shredded on site, the confetti-sized pieces are recycled into items such as napkins and plates. This new service is designed for individual use.